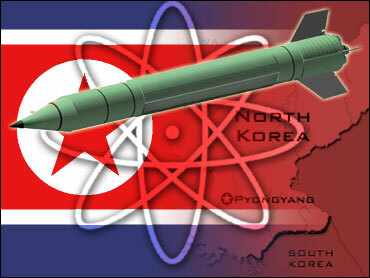 Report: NK Missiles Could Hit U.S.
North Korea is deploying two new missile systems that could enable it to threaten the continental United States for the first time, Jane's Defence Weekly reported. U.S. officials had previously claimed that North Korea was developing missiles, based on the Soviet submarine-launched SSN6, which were capable of hitting the United States. Jane's said Tuesday that the new missiles, apparently based on SSN6, have a range of 1,500 miles or more. "The submarine-launched ballistic missile or ship-mounted version of this new system is potentially the most threatening," Jane's reported. "It would fundamentally alter the missile threat posed by the DPRK and could finally provide its leadership with something that it has long sought to obtain — the ability to directly threaten the continental U.S."
North Korea gained some of the technical data for the system when it purchased 12 decommissioned Russian Foxtrot-class and Golf II-class submarines from Japanese scrap dealers in 1993, Jane's Defence Weekly said. "These boats retained significant elements of the R-21 submarine launched missile system, including their launch tubes and stabilization subsystems. This technology, in combination with the R-27 design, provided the KPN (Korean Peoples' Navy) with elements crucial to the subsequent development of a submarine or ship-mounted ballistic missile system," the report said. Jane's said North Korea is also believed to have had help from Russian missile manufacturer VP Makeyev Design Bureau. U.S. officials claimed in September that North Korea had developed missiles based on the Soviet submarine-launched SSN6, with a potential range of 9,400 miles. Jane's said North Korea had developed two versions of the missile: a land-based mobile medium-range missile with an estimated range of 1,500 miles to 2,500 miles, and the submarine- or ship-mounted version with a range of at least 1,500 miles. The ground-launched version would be capable of hitting Hawaii or U.S. bases in Okinawa, Japan, Jane's said. In related news, North Korea will soon receive $47 million of humanitarian aid as part of a pledge made by Japanese Prime Minister Junichiro Koizumi when he visited the communist nation in May, media reports said Tuesday. During his summit with North Korean Kim Jong Il in Pyongyang, Koizumi promised 250,000 tons of food aid and another $10 million in medical supplies and other humanitarian aid to the impoverished and isolated communist country. In return, Koizumi won the release of five children of Japanese citizens who were abducted by North Korean spies decades ago. Foreign Minister Yoriko Kawaguchi will brief the Cabinet about the first batch of aid Thursday, Kyodo News agency said, citing unidentified ministry sources. A ministry spokesman said arrangements hadn't been finalized. Public broadcaster NHK said the first shipment of aid through the United Nations' World Food Program will include 125,000 tons of wheat, rice, corn, soybeans and sugar, worth $40 million, and $7 million in medical supplies and equipment.